MET's co-working platform, "Kete" (kih-teh), allows an organization or alliance of organizations to cooperatively build a digital content library and discussion forum. 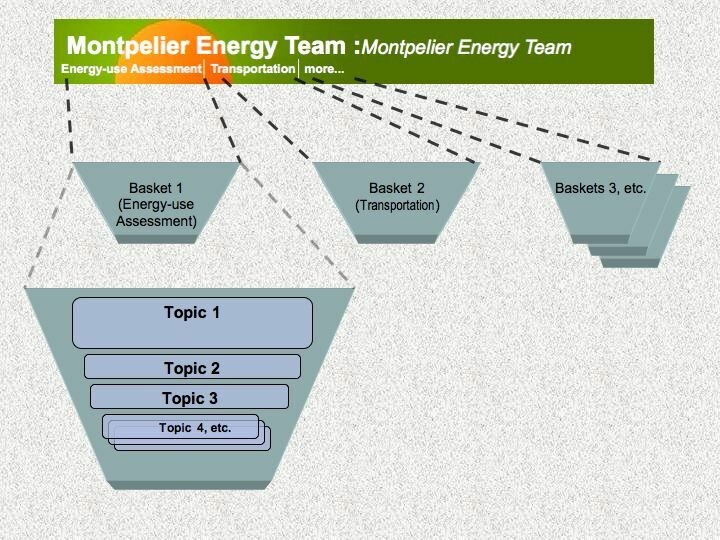 Each highest-level subject area is thought of as a 'basket,' holding topics, discussion, documents, images, audio, video, and links. A basket can be heavy on topic discussion, heavy on content storage, or anywhere in between. Additional operations can be performed. All file types (document, image, audio, video, link) can be created independently of a topic; topics can be moved between baskets; file types shared among baskets; basket statistics can be viewed, and so on. These baskets are reachable directly from the banner at the top of this page. Kete was developed by Katipo Communications of Wellington, New Zealand. Kete Horowhenua, created and developed by the Horowhenua Library Trust. It is a community-built digital library of arts, cultural and heritage resources for and about the Horowhenua district of New Zealand. He Kete Korero, a community digital archive of Taranaki Whānui (one of four initiative areas identified in the Taranaki Māori Language Strategy 2005-2015), and archival work it undertakes. Original introductory text available in documentation.